Conservative lawmakers and pundits already have many grievances against the Democratic health care reform plan, but Rep. Steve King of Iowa and Fox News personality Glenn Beck are adding one more to the list -- the vote scheduled for Sunday. Democrats are scrambling to get the bill to the president before leaving for Easter recess, prompting the House to schedule a vote for the bill this Sunday. "They intend to vote on the Sabbath, during Lent, to take away the liberty that we have right from God," King said on Beck's radio program Thursday, the Hill reports. 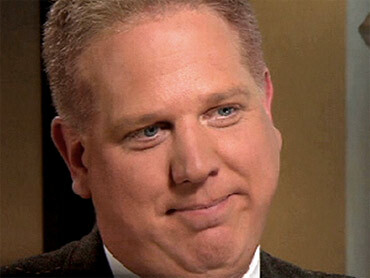 Beck chimed in, "Here is a group of people that have so perverted our faith and our hope and our charity, that is a -- this is an affront to God." "I think that it is absolutely appropriate that these people are trying to put the nail in the coffin on our country on a Sunday," he added, "something our founders would have never, ever, ever done. Out of respect for God." The liberal blog Think Progress points out the Senate in 2005, under Republican control, passed a bill on Palm Sunday that allowed a federal court to intervene in the Terri Schiavo case, the controversial case surrounding keeping a brain dead woman on life support. Obama's Health Care Plan: What Do You Think?